wat een sfeer, wat een geweldige avond was dit!!!!!! ULTRA MUSIC FESTIVAL 2013 CONFIRMS PHASE 1 LINE-UP WITH ADDITIONS!! New Year’s weekend saw the much-anticipated Phase 1 Lineup of Ultra Music Festival’s Miami showdown make its way around the World Wide Web like wildfire after Avicii leaked the lineup online. If there was ever an excuse to slap ‘viral’ on an announcement then this was it! One week after the Internet frenzy, and the world’s premier electronic dance music festival can now confirm artists that will be performing throughout the 6-day/2-weekend marathon of sound, light and dance. Over the weekends of March 15-17 and March 22-24, Downtown Miami plays host to the event’s 15th year with an unparalleled bill of the best DJs, live acts and future talent this planet has to offer. The world is already aware that this year’s edition of the iconic festival will mark the final curtain for Swedish House Mafia, who’ve chosen Ultra Music Festival as the ‘One Last Tour’ finale to end where it once began (Ultra Music Festival at Bicentennial Park in 2010). Expect an unforgettable performance created specially for Ultra Music Festival by deadmau5, one of the industry’s most in-demand talents who returns to close out both Saturday nights. Luminaries who have aided in shaping the movement make appearances across BOTH weekends include Tiësto, David Guetta, Armin van Buuren and Avicii as well as (in alphabetical order): Above & Beyond, Afrojack, Bassnectar, Calvin Harris, Carl Cox, Fatboy Slim, Kaskade, Knife Party and Richie Hawtin. Of course, Ultra Music Festival wouldn’t be complete without the essential Carl Cox & Friends Arena, which has been announced in addition to Armin van Buuren’s (the world’s #1 DJ) A State Of Trance 600 Arena. Mixmag—the world’s indispensible clubbing bible—will also slam into the sunshine with an area of their own and who can forget the #1 club in the world, Space Ibiza, bringing Phase 1 of Ultra’s 15th Anniversary to close with the return of their own Space Ibiza Arena. It is not only the cosmic DJ talent that ensures Ultra Music Festival’s growth year after year, it’s also the LIVE elements that entice thousands of revelers to the Festival’s sun-kissed terrain. This year, and again in alphabetical order, live performances includes: The Bloody Beetroots, Booka Shade, Boys Noize, Crystal Castles, Disclosure, DJ Fresh Live, Hot Chip, Major Lazer, Matt & Kim, Modestep, Rudimental, Thievery Corporation, and Yeasayer. 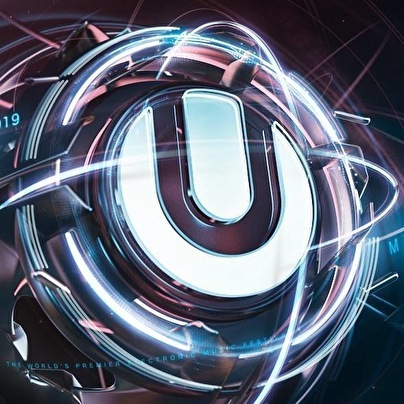 All acts are confirmed to make appearances; some returning after more than a year’s absence and some making grand debuts, thus proving the forward-thinking and finger-on-the-pulse nature of Ultra’s festival organizers. These lineups showcase Ultra’s ability to consistently deliver on talent, both fresh and established! With all this in mind, let’s not forget this is only Phase 1 of a complete line-up of what is surely to go down as one of ULTRA’s greatest line-ups ever! For now, to enhance the already soaring excitement, you can enjoy another exquisite visual experience from UMF TV and Final Kid’s Charly Friedrichs, director of the epic Ultra Music Festival experience film, “CAN U FEEL IT.” Get ready for a no holds barred indulgence! Originally created as a pure electronic music festival in 1999, ULTRA has grown through the years to present not only the genre’s hottest, biggest and best headlining artists (The Prodigy, Swedish House Mafia, The Chemical Brothers, Tiësto, Avicii, David Guetta, deadmau5, Underworld, Kraftwerk, Armin van Buuren, Carl Cox, Moby, Fatboy Slim and Justice to name a few) but also crossover headline bands that incorporate electronic elements in their music and have a history or new beginning in the dance music community and culture (The Cure, The Killers, New Order, Duran Duran, The Black Eyed Peas, Erasure, M83, Santigold, The Ting Tings, Cut Copy, Empire of the Sun and Bloc Party). In 2012, global icon Madonna appeared as a special surprise guest—the festival’s gift to their fans. The Queen Of Pop introduced the main stage final headlining artist AVICII and joined him behind the decks to premiere his UMF remix of her single “Girl Gone Wild.” The year also was the subject of CAN U FEEL IT, a major documentary feature about the festival, which was shown in over 500 theatres across America. Together with its signature and progressive productions, ULTRA is unrivalled by consistently presenting the world’s greatest, most diverse EDM line-ups year after year. In 2013 it enters its 15th year in existence, becoming the first ever EDM festival to expand to two weekends with dates set for March 15, 16 and 17 and March 22, 23 and 24. A global brand, ULTRA WORLDWIDE takes place on 4 continents in 7 countries; Argentina, Brazil, Chile, Europe (Croatia), Ibiza, Korea, Miami. he second phase of talent confirmed for the 2013 ULTRA MUSIC FESTIVAL taking place March 15-17 and 22-24 during Miami Music Week, has been unveiled with what is undoubtedly the most diverse, forward thinking line-up ever billed in the event’s 15 year history. Set to annihilate the newly designed, never-before-seen ULTRA MAIN STAGE and the aptly titled ‘MEGA STRUCTURE,’ MID PARK and more the Phase 2 DJ billing is quite simply out of this world. ALESSO, BENNY BENASSI, DIRTY SOUTH, DOG BLOOD (Boys Noize & Skrillex), ERIC PRYDZ, FEDDE LE GRAND, HARDWELL, LOCO DICE, LUCIANO, LAIDBACK LUKE, MARTIN SOLVEIG, PRETTY LIGHTS, STEVE AOKI and SVEN VÄTH are among just some of the names to join the already eye-catching line-up delivered in Phase 1, which included ABOVE & BEYOND, AFROJACK, ARMIN VAN BUUREN, AVICII, BASSNECTAR, CALVIN HARRIS, CARL COX, DAVID GUETTA, FATBOY SLIM, KASKADE, KNIFE PARTY, RICHIE HAWTIN, SWEDISH HOUSE MAFIA and TIËSTO. After 14 consecutive years of delivering the ultimate dance music experience, it was never in doubt that ULTRA MUSIC FESTIVAL would deliver for its 15th anniversary. Set to shake the revamped ‘LIVE STAGE’ to its very core, the next slew of LIVE acts confirmed includes AZELIA BANKS, FAITHLESS (Live DJ & PA Set), SLEIGH BELLS, SNOOP DOGG and THE WEEKND. Joining the likes of THE BLOODY BEETROOTS, BOOKA SHADE, BOYS NOIZE, CRYSTAL CASTLES, deadmau5, DISCLOSURE, DJ FRESH (LIVE), HOT CHIP, MAJOR LAZER, MATT & KIM, MODESTEP, RUDIMENTAL, THIEVERY CORPORATION and YEASAYER announced in Phase 1 at the beginning of the year, it’s safe to say that never before has an electronic music festival offered so much variety and such an array of top live talent than this year’s fifteenth edition of ULTRA MUSIC FESTIVAL. “In celebration of Ultra Music Festival’s double weekend and 15 year anniversary, what we’ve achieved with this edition’s ocean of talent and stage production is we feel unprecedented. As the industry we work in continues to explode, with so much talent emerging and the taste of our consumer changing in the process, diversity was key,” says Russell Faibisch, Ultra Music Festival Founder, Executive Producer, CEO & President. “We’ve never put so much time and effort into programming an event as we have for this year’s Ultra Music Festival. We truly hope everybody attending this year will value and more importantly enjoy the unique experience we’ve worked so hard to create,” adds Adam Russakoff, Ultra Music Festival Executive Producer, Director of Business Affairs & Talent Buyer. There is more. ULTRA have also announced the incredible array of arenas set to appear over the two weekends this year. It wouldn’t be ULTRA without the legend that is CARL COX. Bringing his titanic CARL COX & FRIENDS ARENA to Bayfront Park this March, he’ll be playing host to some of the finest names in house and techno, including CASSY, FATBOY SLIM, JAMIE JONES, JOHN DIGWEED, LOCO DICE, LUCIANO, MAGDA, NICOLE MOUDABER, RICHIE HAWTIN, SVEN VATH, UMEK and UTO KAREM. Expect seriously big things from this much-loved ULTRA veteran and his merry following. Once again, the world’s #1 DJ ARMIN VAN BUUREN delivers his breathtaking A State Of Trance 600 stage, where ABOVE & BEYOND, ATB, COSMIC GATE, DASH BERLIN, FERRY CORSTEN, MARKUS SCHULZ, TRITONAL and W&W will all be joined by the legendary PAUL VAN DYK who will be making his long-awaited return appearance to the world’s premiere dance music event. Finally, the MEGA STRUCTURE serves up an all-star lineup of the world’s top acts, which includes main stage regulars ALESSO, CALVIN HARRIS, DAVID GUETTA, ERIC PRYDZ and TIËSTO, just one example of what ULTRA meant by “2 Weekends, 2 Unique Experiences.” Fans will rejoice to see their favorite artists tackle both the Main Stage and the Mega Structure at ULTRA 15. Keeping it going for underground fans, new to ULTRA this year is SURFACE, a brand new concept arena held each Sunday of the festival at the Bayfront Stage. Reading as a ‘who’s who’ from the world of the underground scene, look forward to seeing the likes of ART DEPARTMENT, CLAUDE VONSTROKE, DAMIAN LAZARUS, DANNY DAZE, DROOG, FRANCESCA LOMBARDO, GUY GERBER, JUSTIN MARTIN, LEE FOSS, MACEO PLEX, MAYA JANE COLES, MIGUEL CAMPBELL, SETH TROXLER, SOUL CLAP, SUBB-AN, TOTALLY ENORMOUS EXTINCT DINOSAURS, WOLF & LAMB and more. ULTRA is not only delivering the world’s greatest underground sounds each Sunday, but every day of the festival. The MIXMAG STAGE will play host to performances by tech gurus CARLO LIO, DUBFIRE, ELIO RISO, JON RUNDELL, JOSH WINK, SHADED and YOUSEF on Friday of Weekend 1. The second Friday will boast additional techno sounds from AUDIOFLY, CARL CRAIG, KEVIN SAUNDERSON, NINA KRAVIZ, PAUL WOOLFORD, RADIO SLAVE and STACEY PULLEN. Each Saturday will also see a myriad of techno and deep house artists that include DAVID SQUILLACE, tINI + GUTI, MARTIN BUTTRICH, NIC FANCIULLI B2B JORIS VOORN, REMO, ROBERT DIETZ, SCUBA, STEVE LAWLER, TIGA and TIMO MAAS on Weekend 2, and an undisclosed arsenal of premier DJs to play on Weekend 1. SPACE IBIZA (voted #1 Club in the world and winning multiple awards) plans a triumphant return on Saturday, March 23 to host the tech house and techno acts that they are known for. Also hosting stages will be Skrillex’s formidable OWSLA label, Afrojack’s JACKED, Mark Knight’s TOOLROOM, with more to be announced in Phase 3. Completing the full house, the brand new ‘TRAPPED’ arena, featuring the likes of BAAUER, BRO SAFARI, DJ CRAZE, DILLON FRANCIS, FLOSSTRADAMUS, NADASTROM and many more look more than adequate to cater to the new trap craze. Finally, for the ninth consecutive year, ULTRA MUSIC FESTIVAL proudly welcomes back the “ECO Village”. This area is dedicated to the exposure and understanding of numerous non-profit organizations and charities, and will run over both weekends of the festival. You can find several interactive booths that provide an informative outlook on the world today. Limited tickets—which have already sold in 77 countries around the world (topping the record of 74 from years past)–still remain for both weekends of ULTRA MUSIC FESTIVAL, exclusively at www.ULTRAmusicfestival.com. As the world’s most famous outdoor electronic music festival, ULTRA has won “Best Music Event” by the International Dance Music Awards (IDMA) six consecutive years, from 2005 to 2011, “Best International Dance Music Festival” by the Ibiza DJ Awards in 2008 and “Best Festival” by the Village Voice Media New Times consecutively five years running from 2005 through 2009. Originally created as a pure EDM (electronic dance music) festival in 1999, ULTRA has grown through the years to present not only the genre’s hottest, biggest and best headline artists (The Prodigy, Swedish House Mafia, The Chemical Brothers, Tiësto, David Guetta, deadmau5, Underworld, Kraftwerk, Armin van Buuren, Moby, Fatboy Slim, Justice, Carl Cox and Avicii to name a few), but also crossover headline bands that incorporate EDM elements in their music and have a history or new beginning in the EDM community and culture (The Cure, The Killers, New Order, Duran Duran, The Black Eyed Peas, Erasure, M83, Santigold, The Ting Tings, Cut Copy, Empire of the Sun and Bloc Party). In 2012, global pop icon Madonna appeared as a special surprise guest—the festival’s gift to their fans—to introduce the main stage final headlining artist AVICII, joining him behind the decks to premiere his UMF remix of her new single “Girl Gone Wild.” The year also was the subject of CAN U FEEL IT, a major documentary feature about the festival, which was shown in over 500 theatres nation-wide. Together with its signature, cutting-edge productions, ULTRA is unrivalled by consistently presenting the world’s greatest, most diverse EDM line-ups year after year. In 2013, as it celebrates its 15 year anniversary, ULTRA will become the first major EDM festival in the world to expand to two weekends with dates set for March 15, 16 and 17 and March 22, 23 and 24. Jezus, wat een belachelijk ongelofelijk teringdikke line up, slaat helemaal nergens meer op, die amerikanen zijn compleet losgeslagen met dat EDM..­ maargoed, zou het ZEKER wel een x willen proberen, alleen helaas onhaalbare kaart! Deze eerste dag niet aanwezig. Tevens twee tickets te koop voor weekend 1! alleen dag 2 en 3 van weekend 1 meemaken. Wie weet is er hier nog iemand die twee tickets voor weekend 1 wil overnemen? Onder de aankoopsprijs? Zo blij dat ik beide weekenden erbij ben!! Ik ben nog opzoek naar 3 zondag tickets.­ Wordt er voor de deur nog gehandeld ? Weet iemand of dit via een livestream te volgen is? Daar is het op te zien over een paar uurtjes! Deze avond was echt GEWELDIG!!! !